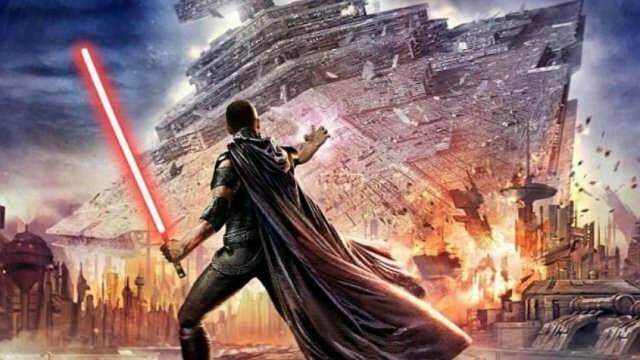 During this year’s E3 in Los Angeles, Electronic Arts unveiled Star Wars: Jedi Fallen Order, a new game from Titanfall developer Respawn Entertainment. Not a whole lot was revealed at the time though and fans went on to speculate and wonder about what the project would be like. Thankfully, some new details have emerged today, and they’re certainly worth getting excited about. Making of the Star Wars podcast host Jason Ward recently received some inside intel on the game and if his sources are to be believed, it’ll be similar to 2008’s Star Wars: The Force Unleashed, be light saber-heavy in design and not have Mountain Dew-like qualities. Yes, you read that right. Now, I’m sure you may be asking yourself, what the hell does a reference to Mountain Dew mean? Well, according to Ward’s people, the citing of the piss-poor soda is a reference to the lighter elements and stunts of The Force Unleashed. Given that the game took place in a dark time, sequences had the player pulling ships out of orbit with their powers and causing a heavy level of destruction as they worked for Darth Vader to hunt down Jedi hiding around the galaxy, ranging from a blind general to Shaak Ti. Personally, the gameplay didn’t hold up in the face of what was and still is an extremely well written story. A sequel followed not long after, but it was divisive and further development of the series died with the Disney acquisition. Let’s just hope that if this report is on the level, then Vader’s secret apprentice gets re-added to the canon. After all, he’s not a bad character to explore in other media. But I guess we’ll just have to wait and see how things develop for Star Wars: Jedi Fallen Order. In the meantime, tell us, do you have high hopes for Respawn’s upcoming game? Be sure to let us know by dropping a comment down below.